January 16, 2019, 12:00-1:00 pm - This 60-minutes session is aimed at providing an overview of the General Data Protection Regulation (GDPR) and translating its specific requirements into a clinical trial environment. January 23, 2019, 12:00-1:00 pm - In this educational webinar, we will be discussing where the industry stands on the technology adoption curve, industry drivers for the adoption of technology, designing a crawl>walk>run methodology when introducing technology, and a case study of "before and after" at a site. January 16, 2019, 12:00-1:00 pm – This 60-minutes session is aimed at providing an overview of the General Data Protection Regulation (GDPR) and translating its specific requirements into a clinical trial environment. 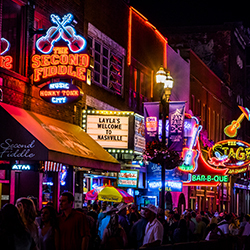 April 12-15, 2019 in Nashville—ACRP 2019 brings the clinical research community together to learn, connect, and explore opportunities to drive excellence in clinical research. ACRP 2019 is the ideal venue for learning the practical strategies, best practices, and creative solutions needed to improve clinical trial operations. Back by popular demand—earn 24 ACRP contact hours!